In Old English, "illume" means to "ignite" or "light up." 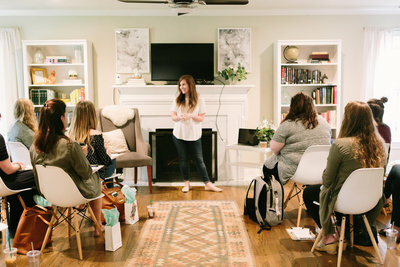 When creating this relational experience, I couldn't imagine a more fitting description of what happens when like-minded women gather together to grow, challenge one another, and intentionally uplevel their businesses and lives. Together, we experience what it's like to ignite our passion and our purpose in a way that leads to truly profitable businesses. Since 2014, the Illume Retreat has proved itself to be a catalyst that propels our attendees on to new levels of success. From five-figure speaking engagements to six-figure course launches, our alumni have used Illume as a stepping stone onto their own definitions of greatness. As you engage with our speakers, our curriculum, and our approach that dares you to dream bigger, you are challenged to chase after only that which matters most in a way that empowers you to create your life's best work. - You're tired of hustling without direction, spinning your wheels but getting nowhere. - You're ready to find rest and refresh for your spirit amidst all the chaos of entrepreneurship. - You're craving a way of doing business intentionally and from the heart. - You're ready to discover the core of your work and create confidently from a clear place of purpose. - You're craving a tight-knit community of likeminded creatives who are cheering you onto success. - You're prepared to take time away from the trenches of your day-to-day to invest in yourself. - You're willing to dig deep and do the work to build your most purposeful business and your most intentional way of life. "Illume changed my business completely. I was poured into by women that I'd admired from afar for months ... and here I was, sitting shoulder to shoulder with them in front of a fireplace, as they steered and shaped my business, encouraged me, pointed out my blind spots, and told me a specific Ashlyn-shaped hole in the market I could fill with my own gifts (I even formed relationships with some of the speakers that went on to be business relationships). Looking back at Illume, for me, it's where the magic in my business really caught traction. It changed it all." "Looking back at Illume, for me, it's where the magic in my business really caught traction. It changed it all." Hi, friend! My name is Bonnie, and I'm the heart behind the Illume Retreat. 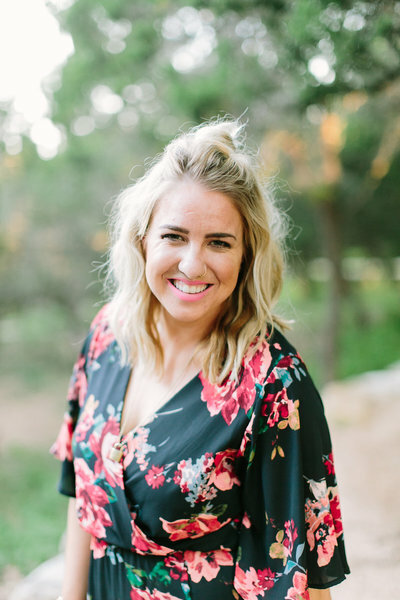 When I'm not pouring all my energy into curating an incredibly restful experience for our sweet attendees, you can find me designing my little heart out as I build strong brands for creative women entrepreneurs just like you! As a brand designer and strategist, I have a passion for empowering my clients to own their stories through the brands they build. 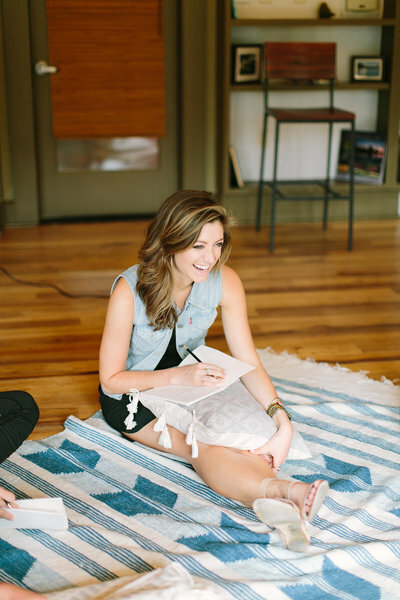 I created the Illume Retreat in 2014 out of pure gumption, hundreds of cups of coffee, and dozens of late nights dreaming about a space for creative entrepreneurs where we could build community, explore how to build truly authentic businesses, and lean into an approach that celebrates purposeful intention over directionless hustle. Even after hosting four intimate retreat experiences over the years, I'm constantly humbled to watch our community of big dreamers grow! The Illume Retreat is for creatives from all end of the spectrum, from photographers to calligraphers, to strategists and authors, there is a space just for you here at our table. Whether you are just dipping your toe into the pool of entrepreneurship or you're celebrating 15 years in business, I've designed an intentional experience to guide you through a curriculum that empowers you to hone the core of your work, embrace a slower, more purposeful pace, and find true community within the safe confines of our speakers, staff, and sweet attendees. I'm so glad you're here. Make yourself comfortable while browsing our little online home, and I hope to be able to hug you soon at a future retreat!